Studio Flamenco opened in 2004 and is a hub for flamenco dance and music in Adelaide, offering classes for all ages and levels and a professional performance company. We offer classes in dance, percussion, guitar, palmas (flamenco clapping) and castanets for children from 4 years and adults from complete beginners to professional level. We also offer workshops at schools, kindergartens and community events and festivals, and host workshops with some of the world’s best international flamenco artists right here in Adelaide! Studio Flamenco’s teachers and performers have trained extensively in Australia and Spain under many of the flamenco masters and have appeared in festivals and events across the country, including the Adelaide International Guitar Festival, WOMADELAIDE, the Victorian Ventana festival, Adelaide Fringe Festival, Adelaide Cabaret Fringe Festival, as well as countless independent theatre productions, festivals and residencies. Our work has been supported by Arts SA, Multicultural SA, the Australian National University, Spanish Ministry of Culture, City of Unley and the Australian Commonwealth Department of Immigration and Multicultural Affairs. Emma trained as a classical ballet teacher with the Royal Academy of Dance, and taught both flamenco and ballet at one of Adelaide’s most prestigious dance schools, the Sheila Laing Academy of Performing Arts. before opening Studio Flamenco. Emma also works with students in schools from pre to secondary school, with students of the SACE dance programme, tertiary dance students at the Tertiary Dance Festival, and with professional companies such as the Australian Dance Theatre. She holds a BA (Hons) and a Master of Teaching. Emma is a Registered teacher with the Teachers' Board of SA. Daniel is a young dancer who began his training with Studio Flamenco at the age of 7 after he was selected to appear with the Ballet Nacional de España in the 2004 Adelaide Festival of the Arts. He has gone on to study intensively in Spain and Australia with maestros such as Manuel Betanzos, Andres Peña, Paloma Gomez, Angel Atienza and Jose Maldonado. Daniel's has performed with many local and international flamenco artists as part of the Adelaide Fringe Festival as wells the Adelaide Cabaret Fringe Festival. He is passionate about showcasing flamenco’s unique qualities and aims to engage young people in this encapsulating form with his fresh, energetic style. Trained as a flamenco dancer, Yasmine has danced in theatres around the world; with Opera Australia at the Sydney Opera House, Adelaide Festival Theatre, in Taiwan, and with Fire of Anatolia (the Turkish equivalent of 'Riverdance') in Turkey, Belgium, and the United Arab Emirates. 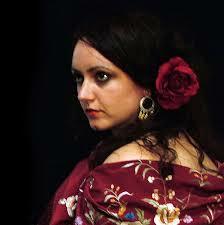 Yasmine began dancing flamenco at 17 with Liana Vargas, and performed in her company Teatro del Mundo. She co-founded Velada Flamenco in 2004, creating three shows, culminating in the critically-acclaimed flamenco dance theatre work, 'Museo del Grito' in 2007. 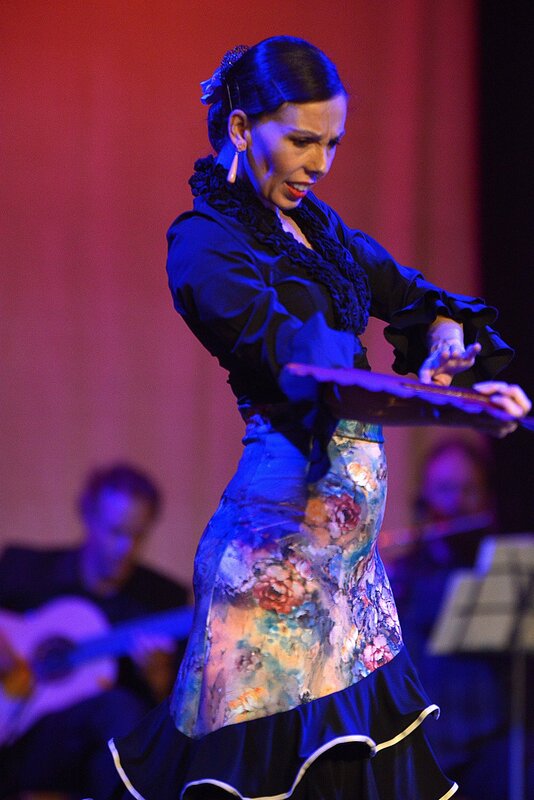 Her contemporary flamenco show, 'Carmen', was a hit of the Adelaide Fringe 2010 and was selected for inclusion in the inaugural Sydney Fringe Festival program. 2017 saw Yasmine return to the Adelaide Fringe & the Adelaide Cabaret Fringe in 'Yasmina Intoxicada's World's End Cabaret'.